Yoplait Yogurt is now available in the frozen aisle! 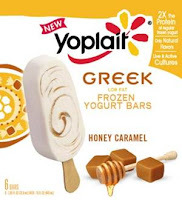 They have taken popular, natural yogurt flavors, and made them into Yoplait Original and Greek Frozen Yogurt Pints and Bars. Yoplait Original and Greek Frozen Yogurts are a good source of calcium and have live and active cultures. The new Greek flavors also contain at least five grams of protein per serving, which is twice as much as regular frozen yogurt. My family and I tried out the Yoplait Original Peach Frozen Yogurt. We all couldn't get enough! My kids definitely thought it was delicious ice cream and kept asking for more ...for days! I love having healthy options like this, especially since it truly tasted like a dessert!! Yum I love regular Yoplait but frozen Yoplait is probably even more delicious! These look very good, I love yoplait yogurt! We love frozen yogurt! Thanks for the giveaway. love Yoplait yogurt. can't wait to try these. The frozen yogurt bars look AMAZING!!! Thanks for the chance to win and for all you do! i love yogurt... can;t wait to try the frozen yoplait! Yummy this is a great giveaway!! Thank you and Happy Holidays! Love me some yogurt, esp. since had tonsils out yesterday. I am 36 and just started eating yogurt. I never realized how good it is. I just can't get enough of yogurt now. This would be an Awesome prize to win!! I love Yoplait! Its my favorite!! Yoplait is some quality yogure- haven't tried frozen, but can't wait. these look soooo good - I love Yoplait. I love Yoplait, but have never tried the frozen strawberry. Man, we love that stuff around here! Our boys Love yogurt! Thank you!!! Thank you for another great giveaway. I enjoy all the work you put into your blog for your readers. We are longtime Yoplait fans, and I didn't know they were making frozen yogurt now. We would love to try these treats!! Looks yummy. Thanks for the giveaway. Fun giveaway and we love yogurt! Yoplait is our favorite yogurt. Greek yogurt is my favorite. Thanks! The kiddos would love this! Thanks for the opportunity. Yoplait is so tasty. Those purple bowls are cute!!! \We love Yoplait yougurt, never tried the frozen kind, Thanks! I so want to try those greek honey caramel yogurts in your picture!! Thanks for letting me know this product existed! I do not usually pay much attention to the frozen food aisle and probably never would have found these on my own! 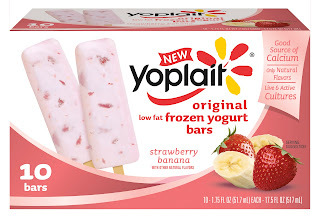 The new Yoplait Frozen Yogurt Bars look REALLY yummy! I love Pina Colada Yoplait! If they could make that frozen, I'd love it! My boys would love the frozen yogurt bars- what atreat! 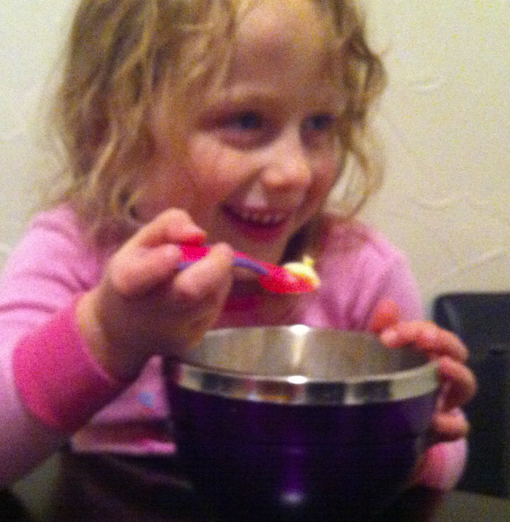 We tend to eat frozen yogurt over ice cream at our house. It's always wonderful to have another option! Yummy!! Thank you for the fun giveaway. Sounds great-thanks for the chance to win! Yoplait is good for my waistline. YUMMY!!! looks yummy - would love to try!! sounds yummy - would love to try!! That sounds delicious !! Thank-you for the chance to win some!! sounds great. would love to try! thanks for the giveaaway!!! you guys rock!!!! I'd love to try the new Yoplait! Those honey caramel bars look delicious. 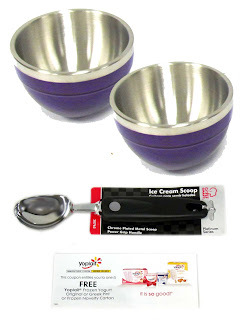 Would love to try Yoplait's new frozen yogurt : ) Thanks for the giveaway! Sounds yummy! I do not like yogurt but have tried the strawberry flavor of these are so good.It is the only way I will eat yogurt. love yoplait and would love to try thanks for the giveaway! i always feed yougart to my kids as an afterschool snack. We LOVE Yoplait! This looks like it would taste fantastic! Thanks for the chance! I love FROYO! Sooo good! Thanks for another great giveaway! Maybe this time, I'll win! Thanks for the giveaway...Enjoy the Holidays ! I would love to try the Frozen Yogurt Bars Peach. I didn't know they made frozen yogurt. Makes sense and I'd love to try it! Looks like a great snack giveaway. I love yoplait. They sound really good, thanks for the chance. Thank you for the giveaway. We love Yoplait here in Oregon. would love to try those yogurt bars! I love the honey caramel bars!!! Yummy! I love yoplait yogurt! I've been wanting an icecream scoop! Love frozen yogurt! Would love to win this awesome giveaway! I'm a late yogurt enthusiast but I love it now! Can't wait to try this new frozen yogurt. yum!